Canadian Association of Radiologists Journal (CARJ) is the official journal of the Canadian Association of Radiologists. In collaboration with the CAR, the CARJ offers articles designated as CPD modules through the Insights4Imaging program. The aim of this self-assessment program is to assist radiologists in reducing perceived and unperceived knowledge gaps related to research and clinical issues in radiology, and to help evaluate a participant’s current skill levels and learning needs for various imaging modalities. By participating in the program, learners can identify potential areas for further professional and educational needs. Additionally, the articles designated as CPD modules are accompanied by specific learning objectives for each article. Insights4Imaging has been revamped and revised, now offering members online, interactive learning modules for each eligible article. 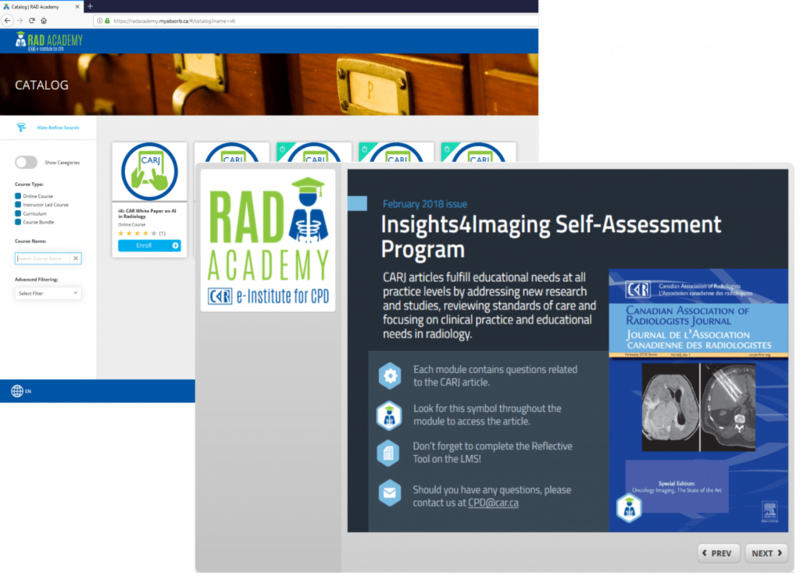 Access these interactive modules on RAD Academy!